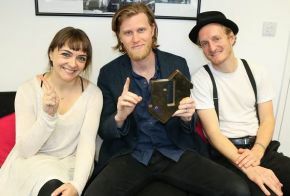 After three years of touring and writing music, following on from their platinum selling self-titled debut, 'The Lumineers', the band's incredible follow up album, 'Cleopatra', is today the UK's official No.1 selling album and has been met with acclaim from critics and fans alike. Wesley Shultz comments, "We want to give a massive thank you to all the fans for their loyalty and support for the new album. We are humbled and grateful for all of the love in the UK. It is always one of our favourite places to perform live. We are so excited for this tour and upcoming festivals."